Winner of the 2012 Laine Cunningham Novel Award! Everybody hates their homeowner’s association, and nobody likes a zombie apocalypse. Put the two together, and Withrow Surrett is having a truly craptastic night. Not to mention the fact that he’s got one big secret to keep from the idiots in his home - Withrow is a vampire. 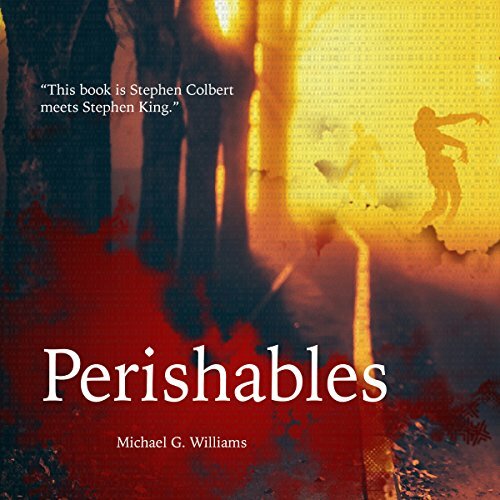 Perishables has been called by some “a gripping examination into suburban ennui set in a milieu of postmodern apocalyptic horror”. Not really. Those people would be navel-gazing idiots. Perishables is a bust-your-gut funny collection of three stories about trust, human and undead relationships, what community really means, and zombies. A LOT of freakin’ zombies. Fans of The Black Knight Chronicles, The Tome of Bill, and Fred, the Vampire Accountant will love this series. 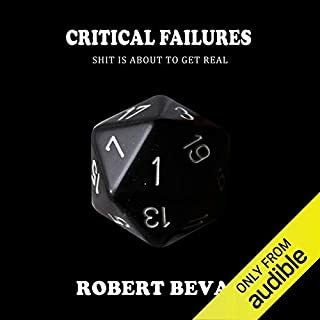 OK, this is a one of those rare books that you read/listen to and wonder why the concept has never been applied before. By that I mean, why have we never had a vampire as part of a home owners association? 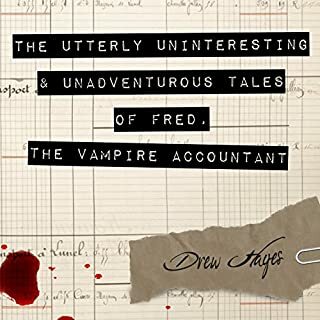 Just kidding, well maybe not considering we have books dedicated to Vampire accountants and a slacker Vampire named Bill. That Home Owners thing wouldn't really stand out all that much in retrospect. What I am talking about is a fat vampire. What we've had are all the pretty sparkling ones, or the rat faced Nosferatu types . . . .no, I'm digressing again. I think that I mean to say we haven't had enough vampire versus zombie action! Yeah, that's it. Ok, can you see the dilemma I have with this book? It just takes a lot of tropes and flushes them down the toilet and creates something new and fun. We end up with an overweight vamp who has a "service dog" named Smiles for a companion. Withrow Surrett, the vampire, just wants to get on with his unlife and be left alone. Unfortunately, he is a part of that pesky Home Owners thing and he has to make appearances. During one of those meetings a zombie outbreak occurs, I can't call it a zompocalypse because the world doesn't end. During the outbreak, Surrett discovers that the Zeds avoid him like a pimple faced nerd at the homecoming dance. After an internal debate, he opts to help his neighbors out, and starts stomping zed butts. Thus ends the first section of the book. Yeah, it is broken into sections. You can tell by the recipies that sets them apart. I won't comment on the recipies because I am a meat and taters kind of guy and my idea of gourmet is a hamburger cooked on a grill. I will say that they look interesting, and if we could get some of the ingredients gluten free and completely organic my wife will probably make them one day! Part two focuses on Jennifer McCordy who is, refreshingly, a strong mentally healthy woman who focuses on what is going on around her and not acting like a panic stricken bunny. She has more important things to do than dying or letting those she cares about bite the big one by being bitten by a big one. Ahem. This pretty much takes place at the same time Witherow is doing his bit for the HOA. Part three picks up several years later when yet another outbreak occurs. This time Witherow and Jenny meet, and they team up to take down more Walkers, Biters, Munchers, and zeds than the cast of the Walking Dead. This book is really humurous, and I gave a huge belly laugh more than three or four times. The rest of the book was peppered with snickers, guffaws, chuckles, and chortles, but no titters. I do not titter. You might though, so be careful. This book does have a complete story to it, but it seems to be setting up a larger series ( I haven't looked yet, but I'm betting it is a whole series or is going to be) which is just fine by me. I could handle listening to more stuff from Jennifer and Witherow. If there are going to be more books, can we get more Smiles? I just love dogs. Jack Wayne, no relation to Bruce that I know of, does an outstanding job in the department of narration. He really brings this book into (un)life, and makes our vampire wittier and more sympathetic than just the eritten word could do. You know, by using inflections and stuff. He's pretty good at it! Seriously, he made an already fun book even MORE fun (see, correct grammer, I bet you were expecting me to say "funner"). I will have to keep an eye out for more of his work. When I find a decent narrator I try to see what other things they have done. If this does become a series I'd love to see him do the whole thing. Even though I did receive a promo code for this review it in no way influenced my considerations of the material, and in fact, inspired me to be more honest. In fact, getting a code generally makes me harsher as a reviewer as I am more often concerned what someone like Me will decide based on my review. This book contains 3 funny and engaging stories involving zombies. They are different than the norm and I enjoyed the world the author created. The narrator did a fantastic job bringing the story and characters to life. I look forward to more. 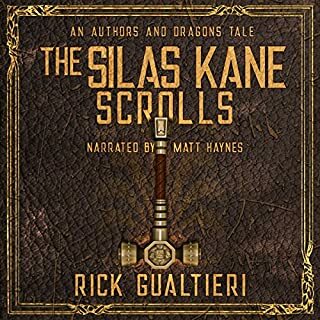 I was voluntarily provided this free review copy audiobook by the author, narrator, or publisher and found interesting. Zombie books are not my favourite books. I did enjoy this one though. There were quirky characters and some humour with enough plot to keep me interested. I listened to it while I was driving and found it quite entertaining. I will check out book 2. This is a thoroughly enjoyable set of stories with great characters, good humor, and just enough action. That it manages to successfully explore different takes on the Zombie apocalypse theme successfully in one volume is no small feat. Withrow is a poignant and likeable lead. A vampire who has the power to wipe memories, and just wants to live a normal life. That's all I'm telling in the hopes that it will be enough to convince you to try out this witty and fast moving book. 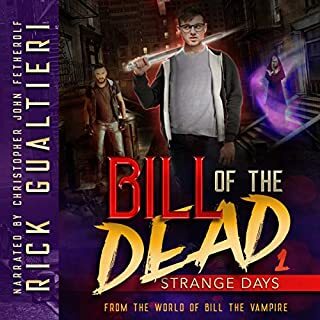 Narrator Jack Wayne was a joy to listen to, offering a gravely, world weary vampire for your listening pleasure. I'd love to read more by this author. enjoyed these stories very funny entertaining. would recommend to everyone. Wayne had me giggling even after I put it down. Definitely worth the time. So, I am a HUGE fan of stories like the Black Knight Chronicles, Bill the Vampire and such. So it is no surprise that this book entertained the hell out of me. 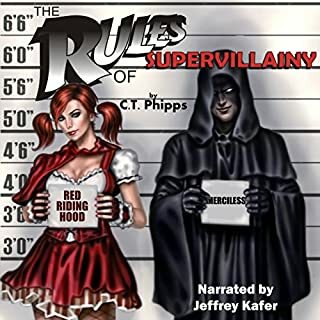 It is well narrated which helps bring the snark out of this set of stories that don't take themselves TOO seriously. They still have heart, though, so it's not all just snark and fluff. Anyway, this is a really fun and entertaining listen that is worth your time.